Brooklyn-based artist Trouble Andrew was invited by Alessandro Michele to collaborate on a special project by incorporating his art into Alessandro Michele's designs. The final product is a mix of two culturesa juxtaposition of the past and the present. The skull charm features GucciGhost engravings and hangs on a sterling silver chain. For in-store inquiries, use sku #2216912. 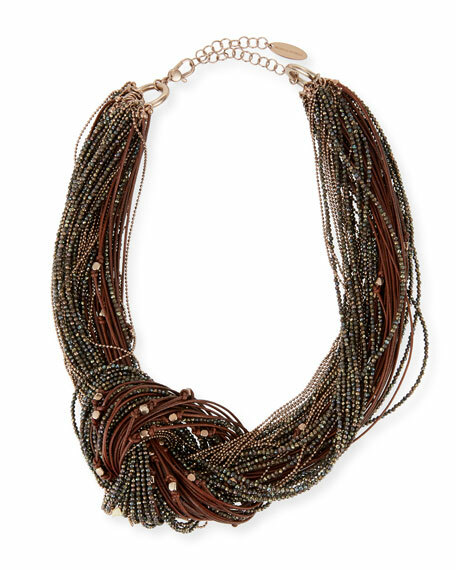 Brunello Cucinelli necklace in brown spinel beading and leather multi-strand design with knot front. 925 sterling silver monili. Clasps at back. Approx. 15.5"L. Made in Italy. 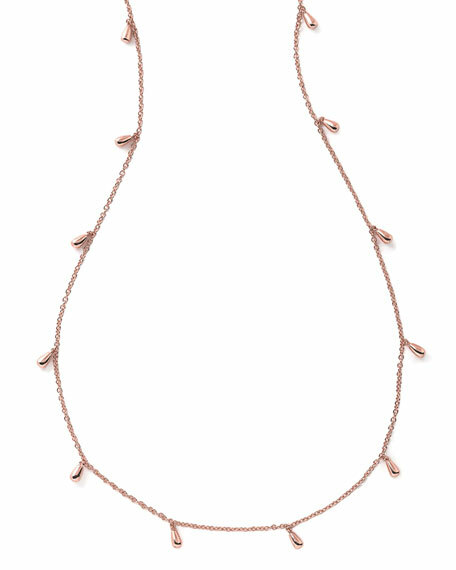 John Hardy necklace from the Lava Collection. Sterling silver link chain, 2.6mm Carved bale with signature chain design. 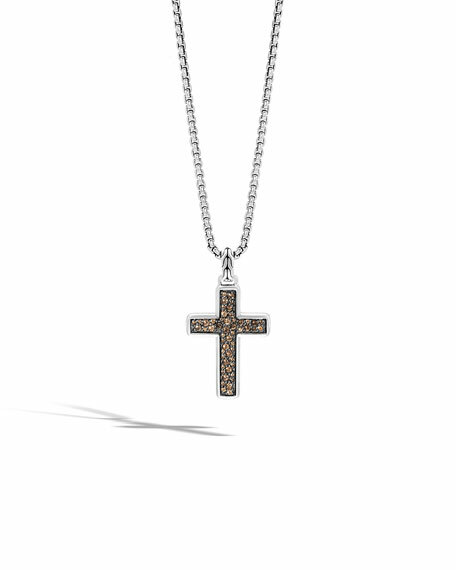 Cross pendant with pav smoky quartz. Approx. 26"L. Imported. Shaggy stone necklace by Lele Sadoughi. 14-karat yellow gold plating over brass. Dyed howlite or acrylic pearl beads. Approx. 15"L; 4"L extender chain. Adjustable; lobster clasp. Imported.